We only sell high quality warranty stickers. We sell high quality 'Warranty Void if Removed' stickers that we print here in the USA. Our stickers ship fast from our warehouse in Dripping Springs, Texas. 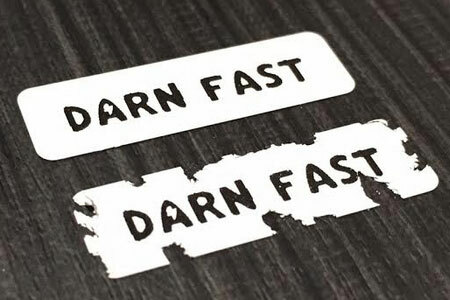 These stickers, when removed leave a residue of the word "VOID". This sticker is made of polyester (Mylar) and is extremely tear resistant. These warranty stickers are an excellent choice for firmly covering seals or screw holes on electronic items and office equipment. 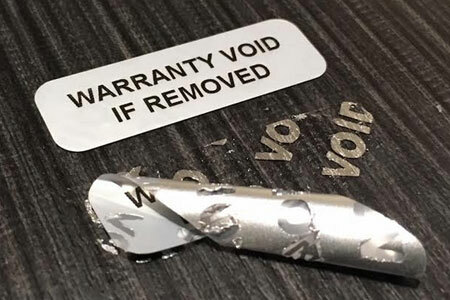 Once applied, any attempt to remove these warranty stickers will result in it being destroyed. These stickers are made from a very thin white vinyl and is very flexible. These stickers can be used on irregular shaped surfaces and are perfect for use on small items. Our customers love their labels. It's important to us that our customers are happy with their orders. We only use high quality materials to ensure that you get the best warranty labels possible. See what our customers have to say about us.